Both teams had not lost a single game during the 2010 campaign heading into the final, with Concordia fresh off its wins over Queen’s University and the Lethbridge Pronghorns—the defending champions. 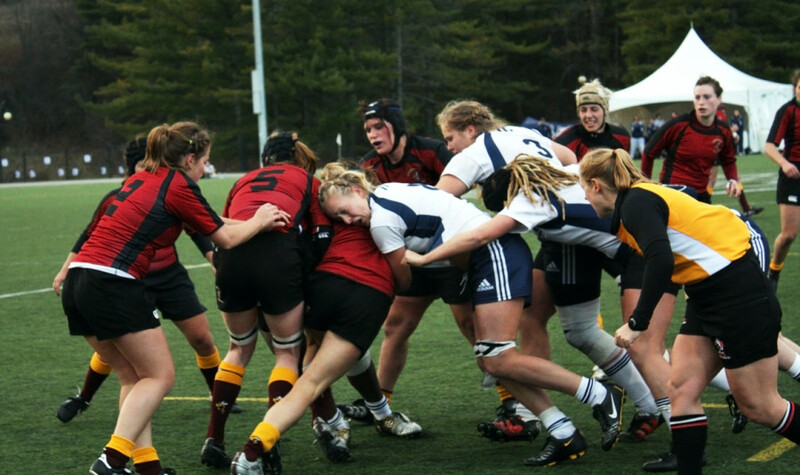 Sunday marked the first appearance for a Stingers squad at the CIS women’s rugby final, while it was the X-Women’s third straight appearance in the championship game. X-Woman Olivia DeMerchant was credited with the game-winning try in the final minutes of the first overtime period after keeping Concordia pinned deep inside its own 22. Though St. F.X.’s Amanda Thornborough scored the game’s first try three minutes in, Concordia dominated the X-Women at line-out and rebounded with an unconverted try through prop Sarah Scanlon two minutes from halftime. DeMerchant was later sin-binned in the second half, giving the Stingers an opportunity to take advantage. Following another win at line-out, Concordia moved the ball to prop Lisa Hoffman to punch the ball just inside the try-zone, making it 12-5. 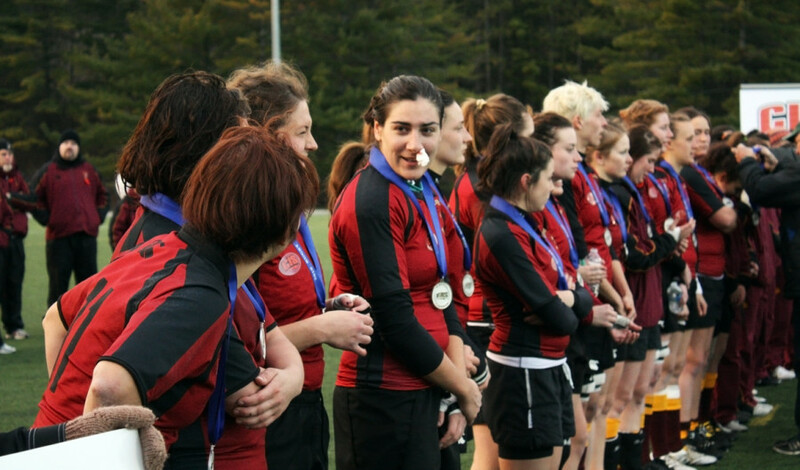 Desperate to gain any momentum, the X-Women used their possession on the ensuing drive to have tournament MVP Magali Harvey attempt a 40-yard kick. Harvey’s attempt fell just short, but a knock-on by ConU resulted in St. F.X. regaining possession on the Stingers’ doorstep. However, Concordia was able to steal the ball back and work it out of the zone. With DeMerchant back from being sin-binned, St. F.X. kept pushing to stay in the game. The X-Women were led by a great performance from third-year Asya Bartley. Bartley was able to inch inside the Concordia try-zone and tie the match at 12-12 seven minutes from the end. Harvey missed the ensuing convert though, meaning overtime would follow. “I know my strength is running with the ball, so I tried to step up,” said Bartley, who used her size and speed to tire out Concordia’s defence.